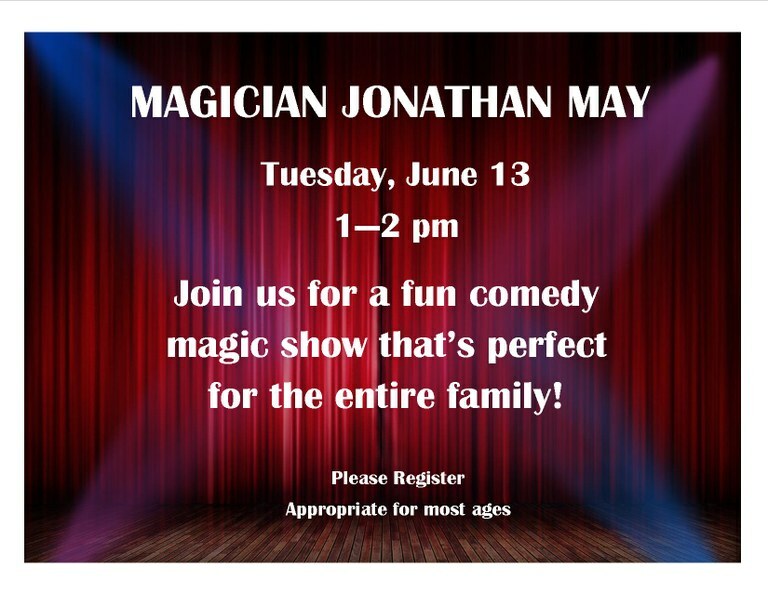 Magician Jonathan May wows with a magic show perfect for the whole family. Please register. Appropriate for most ages.